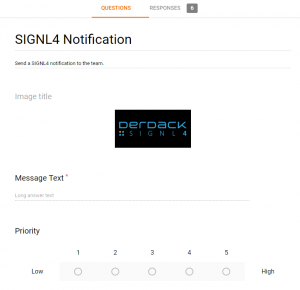 SIGNL4 offers easy-to-use interfaces for triggering notifications, e.g. 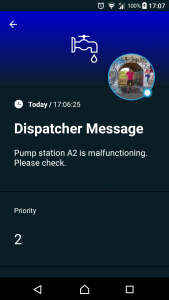 email and Webhook. In some scenarios you might want to send signals manually from a Web portal. 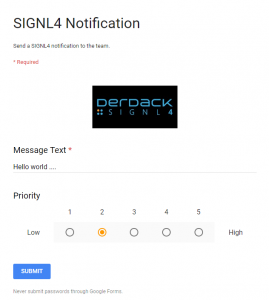 Google Forms is one option to add this feature to SIGNL4. 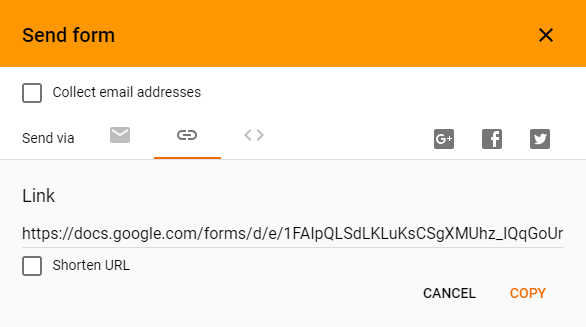 Go to Google Drive (https://drive.google.com) and add a new Form (“New” -> “More” -> “Google Forms”). In fact, you can design your form according to your needs. 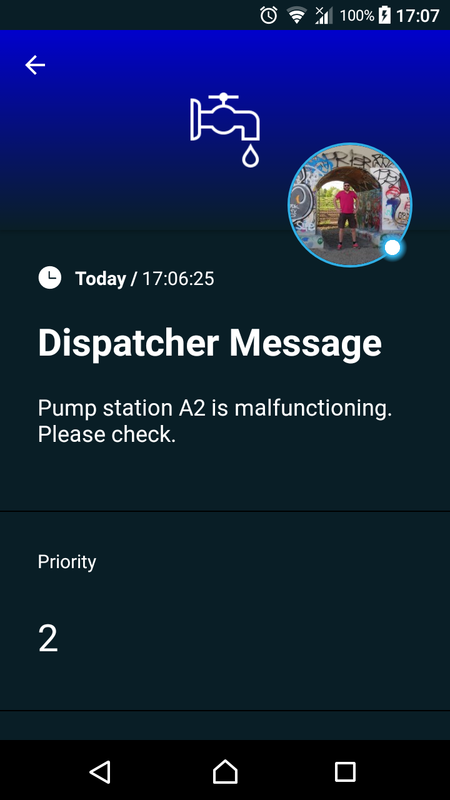 You can add as many parameters as you wish. 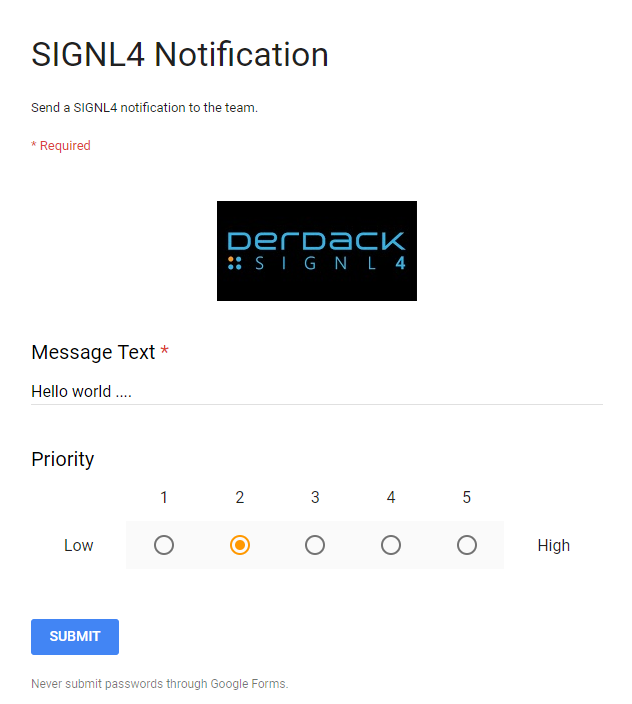 In our example below we use a field for the message text and another one for a priority. We also added an image to make things look nicer. Now, under “Responses” you can create the sheet of response form data by clicking the little green Sheets symbol on the top right of your form. Once you have creates the sheet you can test the form. Go to “Send” on the top right of your Form page and then choose the Link tab. Here you can copy the link to your form. You can copy the link and open it in a browser. Fill in some date and click the “Submit” button. The results will go directly into the sheet you have created. 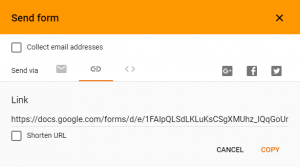 Now we would need a Google Apps Script that will get triggered each time new form data is submitted. You can create the script in Google Drive by clicking “New” -> “More” -> “Google Apps Script”. Then paste the code below and modify it accordingly. You now need to call the function “createSIGNL4SpreadsheetFormTrigger” manually. This registers the trigger to be called when new form data is submitted. By the way, you can also embed the Google Form in your own intranet site. 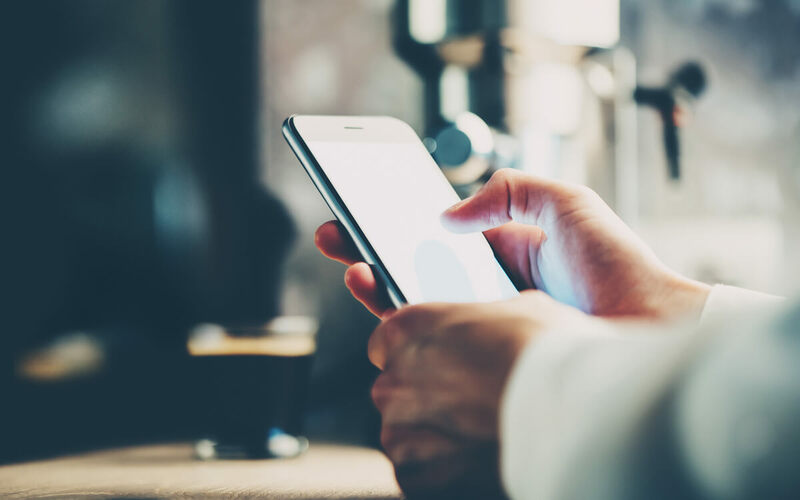 To get started, download the mobile app, and your ready to go for free for 30 days.